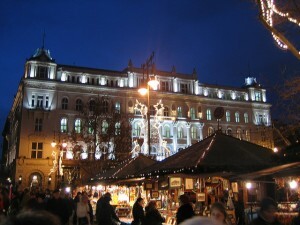 Budapest will be still festive on Boxing Day at Christmas. 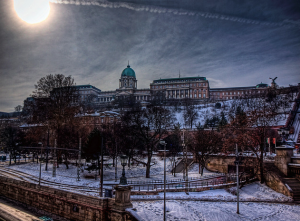 Many activities and places, like thermal baths, cruise ships, restaurants, bars, clubs are already back on track with weekend or normal opening hours on 26 Dec in Budapest, but most museums, and many shops are still typically closed on this day. 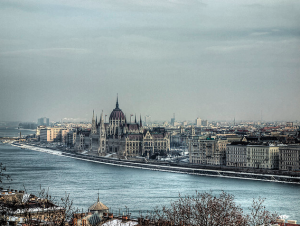 Never mind, Budapest is a place worth being explored even on a relaxed Christmas Day. Even though, 2 days of the Christmas holidays are already behind us, it is never too late to spend a couple of hours in one of Europe’s best Christmas fairs while sipping a cup of wonderful, hot mulled wine, and admire authentic handmade souvenirs. 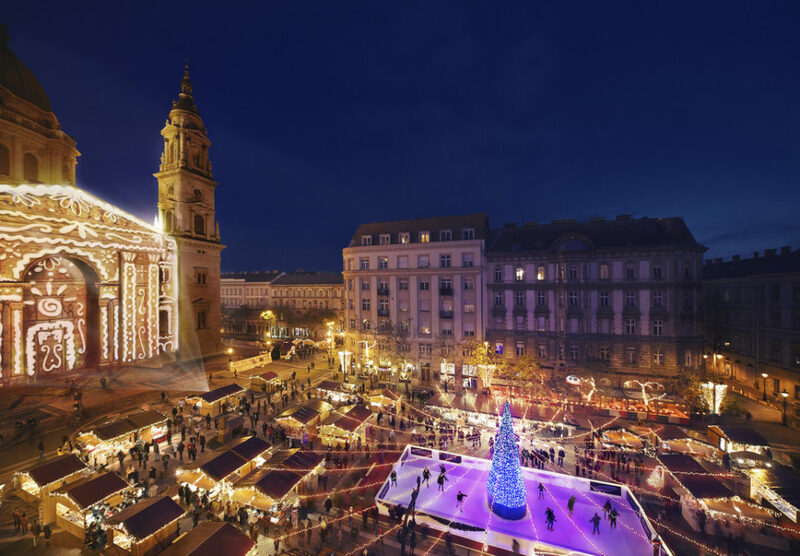 Heart warming drinks and delicious hot meals will be served at both of the city’s major Christmas Markets, on Vorosmarty Square in the city centre and at St Stephen’s Basilica. 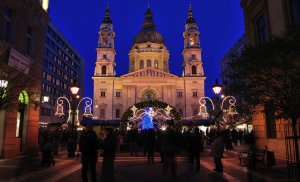 26 December will also feature the festive Xmas laser shows at the Basilica. If you are still looking for unique one-of-a-kind presents, these are the perfect places to find them. Opening hours on Dec 26: 10 am – 10 pm (food and handicraft stalls) with laser show every half an hour between 4.30 pm and 8 pm on the Basilica’s facade. 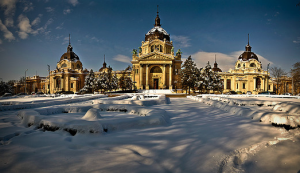 The main thermal baths of Budapest (Szechenyi Baths, Gellert Spa, Lukacs Baths, Rudas Baths and all their facilities are open during the Christmas Boxing Day, mostly from 6 am to 8 pm, small alterations are in various thermal baths. Check-in for online reservations: 9 am – 6 pm. As you can imagine massage appointments and private baths are absolutely booked up days or even weeks before the Dec 24 – 26 period, so if you want to make sure that you get a nice treatment, do book in advance. Should you wish to enjoy a nice and relaxing massage or to dip in the private bath of Gellert Spa during the Christmas holidays, we advise you to book it well in advance. Enjoy a Budapest Boxing Day Cruises on the Danube on Dec 26, and admire the wonderful winter panorama of Pest and Buda on the riverbanks. Do book your cruise seats as the boats are full house every year at Christmas. On all dinner cruises, you can choose from several kinds of meals (meat dishes, vegetarian options, soups, salads, desserts), some are served, while others are all inclusive buffet dinner. While enjoying the dinner, you can take in the wonderful vista or you can listen to live music too. 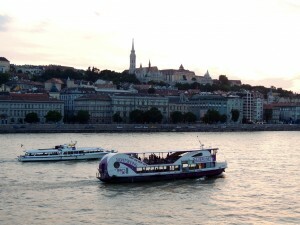 Should you prefer to go on a daytime boat tour check out the Boxing Day Cruises with boat tours on the Danube that are available on Dec 26 on heated boats providing cozy seats. Many of the cruises sell out well before December, so if you want to go for a cruise, try to book in advance. 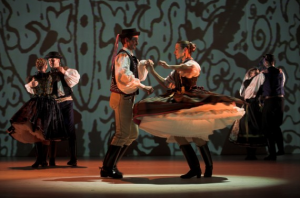 Enjoy a spectacular Hungarian Folk performance, and catch a glimpse of the country’s rich folklore traditions and passion for music and dance in a historical concert hall. 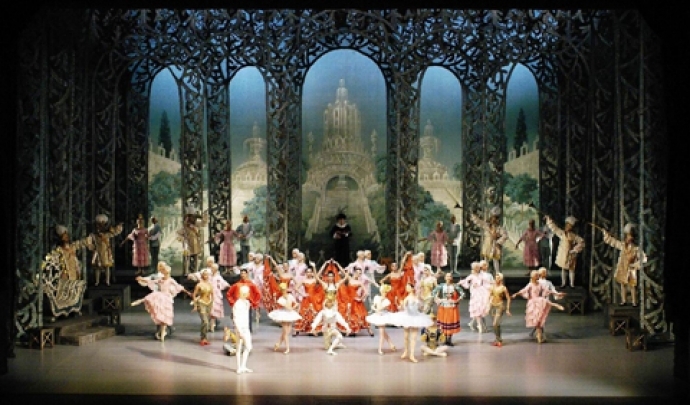 The folk dance show is from 8 pm to 9:30 pm, performed in 2 shows with a break. You can reserve the performance together with a lovely late night cruise starting at 22.00 at a discount price. This way you not only have a great program for a full evening but you pay less! holidays, so get well dressed for a winter sightseeing walking tour. 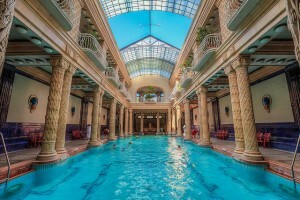 But as Budapest is known as the city of baths and spas,after a 2-hour long Budget Buda Castle Walking Tour what could feel better than relaxing in the pools of natural steaming hot water? On 26th December vehicles still run according to holiday schedule. 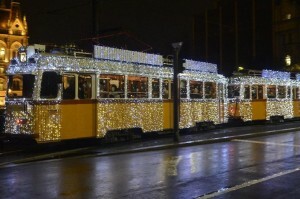 Tram 2, and some other trams are dressed in decorative lights during the Holiday Season with thousands of little led lights elevating the festive feelings in the city of Budapest. The special holiday services normally operate between 4th December and 6th January (except for December 24, 25, 26 and 31). Please check the exact dates for the upcoming Christmas holiday with the Budapest Public Transport schedules (posted at metro stations or shared in little booklets / leaflets at the ticket offices at metro stations). On Boxing Day all shops, supermarkets are closed. If you want to do some shopping, there are some groceries that operate 24/7 and have a special permit to stay open during the Christmas holidays. 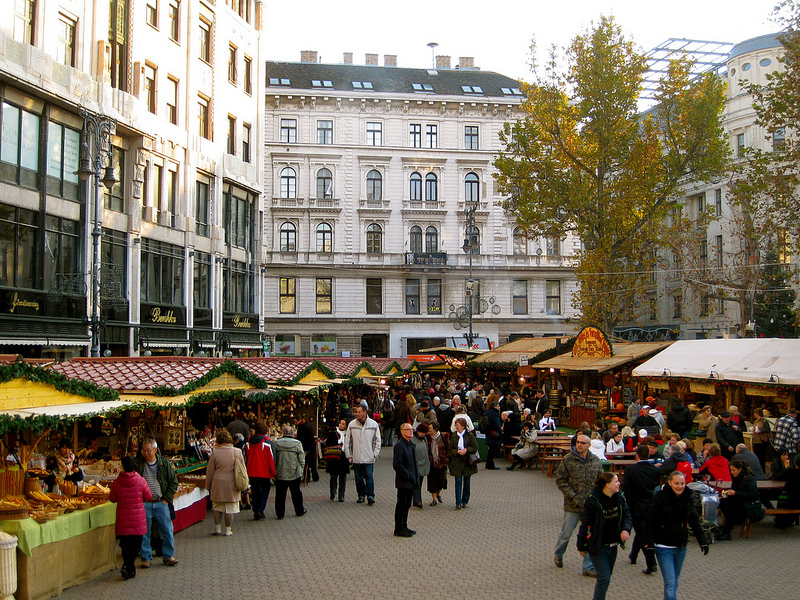 Also, the food stalls, and several of the gift vendors at the Christmas markets are usually open.